​The ISACA Central Maryland Chapter is sponsoring a pre-exam Cybersecurity Nexus (CSX) Fundamentals Training Workshop (2 day training session) on April 27 -28, 2019 from 8:30 am – 4:30 pm with an accredited CSXF trainer (includes free study guide, meals, and 2 full days instruction on exam for $50.00). This course would be appropriate for current full-time senior college students. Cybersecurity is a growing and rapidly changing field, and it is crucial that the central concepts that frame and define this increasingly pervasive field are understood by professionals who are involved and concerned with the security implications of IT. The CSX Fundamentals Course is designed for this purpose, as well as to provide insight into the importance of cybersecurity, and the integral role of cybersecurity professionals. Designed as a foundational course, it will also prepare learners for the CSX Fundamentals Exam. Attendance at this course will not guarantee passage of any ISACA offered certification. Location: Bowie State University at 14000 Jericho Park Road, Bowie, MD 20715-9465 in Building # 2, Martin Luther King Jr. Communication Arts Center, Room 102 (Campus Map). Free parking will be provided. Cancellations: Please note that space is limited and registrations will be filled on a first come, first served basis. Refunds will not be given after March 31, although attendance is transferable. 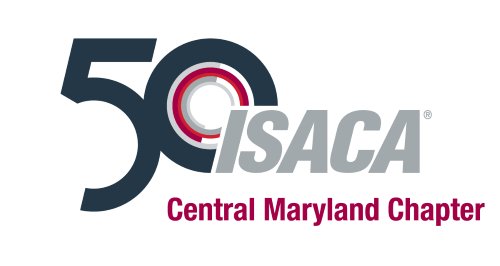 ISACA Central Maryland Chapter reserves the right to cancel this event if there is insufficient participation or due to inclement weather. Participants will be notified in the event that the workshop has been cancelled.